From light bulbs and typewriters in the 1800s, to the washing machine and the refrigerator in the early 1900s, to the telephone in the 1950s, inventions and innovations that had to do with everyday living were always the woman’s domain. The advent of modern appliances had a profound impact on the 20th-century woman, changing the way she cooked, cleaned and cared for her family, and, eventually, how she lived her life beyond her home. Plug-in conveniences brought about a household revolution, one that would eventually change women’s lives, and enable them to enter the workforce and contribute to the economy. More importantly, technology has allowed women to empower other women. There has never been a better time to recognize the impact information technology and digital connectivity has had in the lives of women across the globe. Women use their mobile phones and tablets to connect, bond and interact with other women on the other side of the world. The internet and social media have opened their eyes to the realities of many other women, and they use these channels to voice out their opinions and dissent, to take the lid off gender issues, and to create opportunities for other voices to be heard. Technology, more so now, has allowed women to share their stories, to collaborate and to inspire. 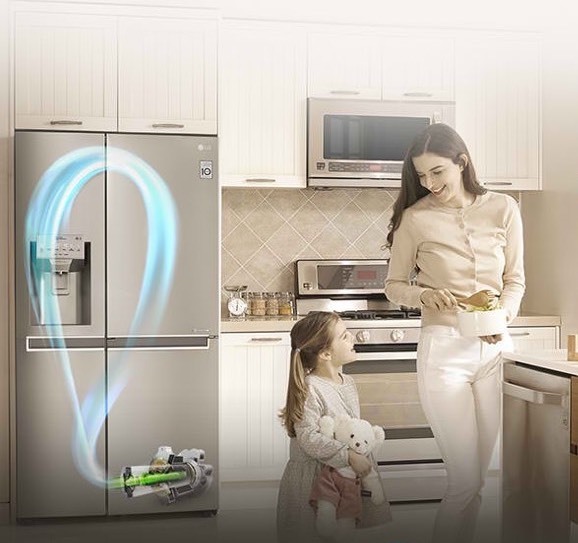 For 60 years, electronics giant LG has accompanied women on their journey to self-discovery by providing optimum solutions and new experiences that help their female consumers lead better lives. LG creates efficient, functional, not to mention, beautiful home appliances that free up time for women, allowing them to focus on other concerns. The brand also provides an array of sophisticated, gorgeously designed mobile phones, tablets, and smartwatches that allow women to stay connected virtually anywhere, and to share information at blazing-fast speeds with just a touch of the screen.